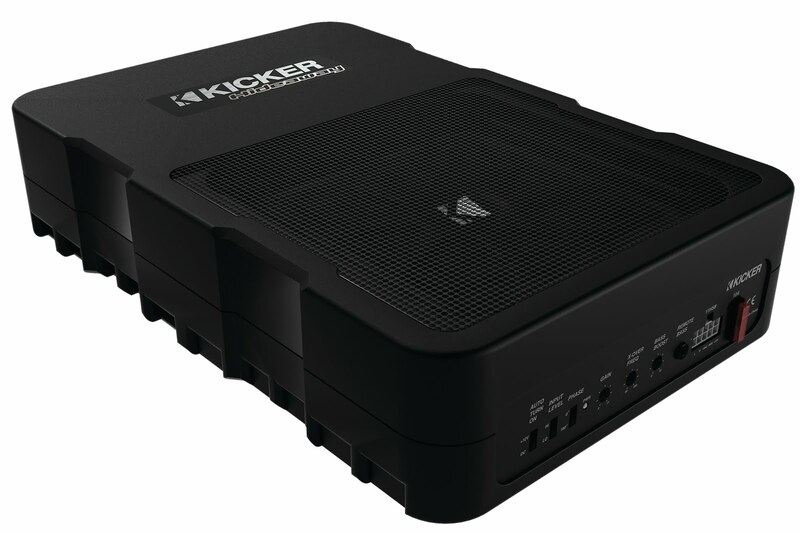 STILLWATER, USA – KICKER® Performance Audio today announced that it has been named an International CES Innovations 2011 Design and Engineering Awards Honoree for the new KICKER Hideaway™ Compact Powered Subwoofer System for vehicles. Products entered in this prestigious program are judged by a preeminent panel of independent industrial designers, engineers and members of the media to honor outstanding design and engineering in cutting-edge consumer electronics products across 35 product categories. KICKER’s Hideaway Compact Powered Subwoofer System will be displayed at the 2011 International CES, which runs January 6-9, 2011 in Las Vegas, Nevada. The Innovations Design and Engineering Showcase will feature honorees by product category in the Grand Lobby of the Las Vegas Convention Center and will also be featured at CES Unveiled: The Official Press Event of the International CES on Tuesday, January 4. The Innovations entries are judged based on the following criteria: engineering qualities, based on technical specs and materials used; aesthetic and design qualities; the product’s intended use/function and user value; unique/novel features that consumers would find attractive; and how the design and innovation of the product compares to other products in the marketplace.